I'm back with another Face of the Day. I wore this look to a concert a few weeks ago. 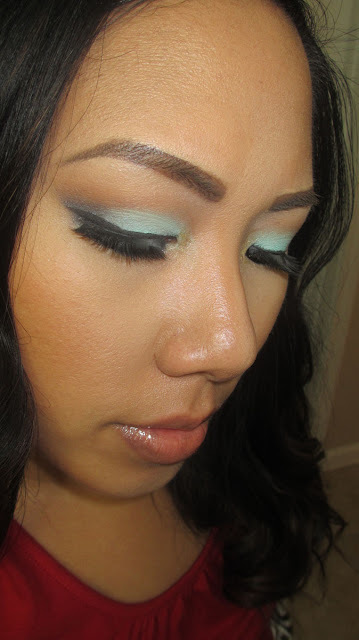 I wanted to play with one of the hottest colors of the season, mint! If you guys like it I can also do a tutorial. Check it out! 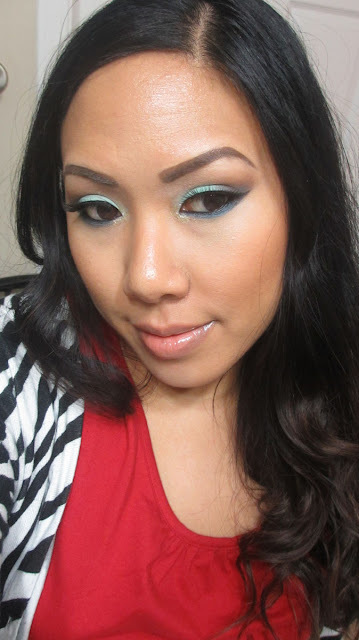 The focus of the eye is MAC Eyeshadow in Aqua. It's a MAC pro color and you can tell the difference because it's super pigmented and applies pretty easily for a matte. I added some pizazz by applying a gold liquid liner in the tearduct for some sparkle. 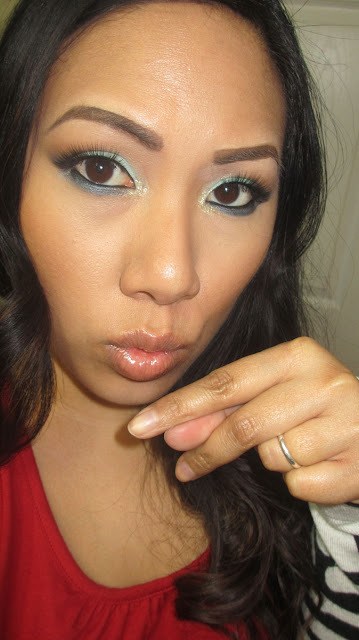 Then I contoured the eye with a darker teal. Pair it with a neutral lip and cheek and you're good to go! Hope you all enjoyed! If you'd like to see a tutorial, let me know in the comments below!